The sun, pollutants and aging can all affect and degrade skin health over time. Drinking tea can help you naturally maintain your skin. What teas are good for the skin? Free radicals can damage skin, so incorporating more anti-oxidant rich foods and drinks in your diet will help prevent the premature aging. Tea happens to include a powerful anti-oxidant known as EGCG which is present in the highest concentrations in green, purple or white teas. Matcha is another excellent way to increase your EGCG consumption. Many shampoos and creams include tea extracts, as the anti-oxidants also work well when applied directly to the skin and hair. You can even create your own green tea matcha face mask! What are some specific skin benefits? By drinking the teas mentioned above you will aid your outermost skin layer by reactivating dying skin cells. It will make a difference when it comes to the formation of wrinkles and age spots.The anti-inflammatory properties of green tea also reduces irritation caused by too much sun exposure. The high levels of anti-oxidants work to promote hair growth by blocking the production of DHT, a leading cause of hair loss. 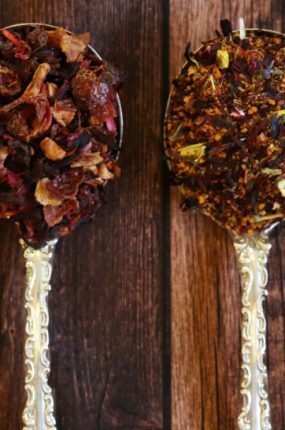 Besides the benefits of anti-oxidants from drinking the teas mentioned above, there are herbs that are also beneficial, and have a variety of additional health benefits. Nettle Leaf - Contains abundant minerals - good for skin tone and grey hair. Horsetail - High in silica, which are the building blocks for hair and nails. Oatstraw - Improves skin texture and calcium absorption. Often found in creams. Rosehips - Helps prevent broken capillaries, high in vitamin C.
Jasmine - Improves skin tone and smells wonderful! Cinnamon - Good for complexion and has anti-bacterial properties. 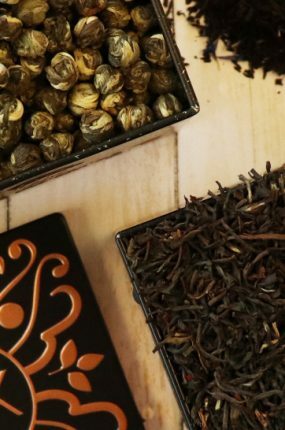 What are natural flavors in tea? 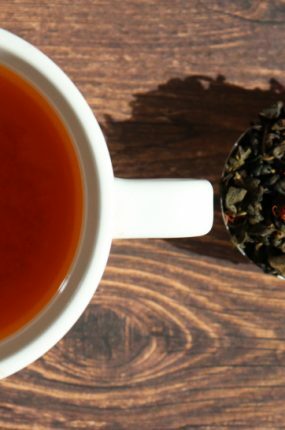 Black vs. Green tea - Which is healthier?